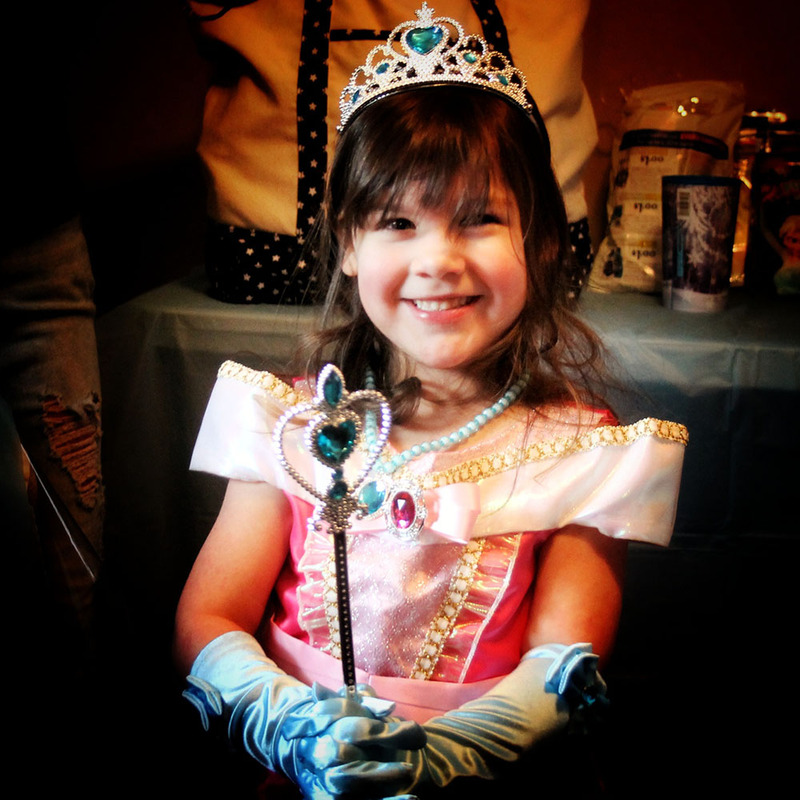 Supporters of the Maine chapter of the Make-A-Wish Foundation gathered with friends and relatives of 4-year-old Justine Chenard Saturday to tell the youngster born with a heart defect that she would be going to Disney World the following week with her family. MADAWASKA, Maine — Supporters of the Maine chapter of the Make-A-Wish Foundation gathered with friends and relatives of 4-year-old Justine Chenard Saturday to tell the youngster born with a heart defect that she would be going to Disney World the following week with her family. Through donations from supporters, the non-profit Make-A-Wish Foundation arranges to provide experiences, described as “wishes,” to children diagnosed with critical illnesses. 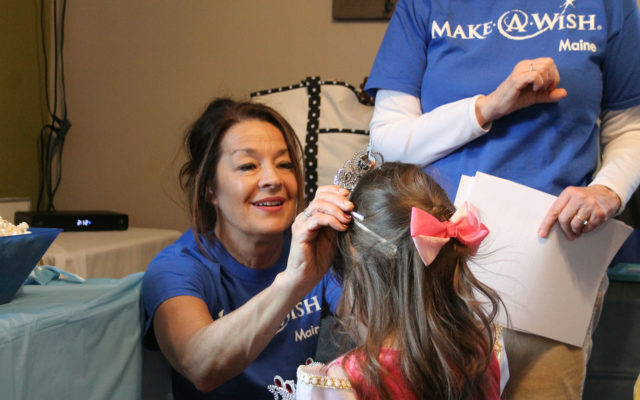 Make-A-Wish Maine in this instance arranged for the trip to Disney World and to give Justine a Princess Makeover at the Bippity Boppity Boutique as a special event for her fifth birthday. Justine and her parents, Kaylee Pyles and Matthieu Chenard, her little brother, and her grandmother will have passes to the Disney parks as well as to Universal Studios and Seaworld during their trip to Orlando, Florida. As the wish granter, Carey acted as a liaison between the family and the foundation to grant the wish and plan the trip. Carey said she has been working with the foundation granting wishes for almost 15 years. “When I moved back to Maine, I had the opportunity to take the wish granter training, and have found being a wish granter one of the most rewarding and gratifying volunteer opportunities I have had in my life,” she said. This wish is the sixteenth that Carey has worked on to grant. Pyles and Chenard found out about three months ago that Make-A-Wish was going to grant their daughter’s wish. “I’m overwhelmed and excited for her,” Pyles said. Pyles said that November marked one year since Justine’s last open-heart surgery, and the news of her wish granting couldn’t have come at a better time. Without the surgeries and treatment, the birth defect would have been fatal. With the treatment, many children survive, though most will still have complications later in life. Pyles said that Justine and the family have been through tough times, but that Justine is finally through the major hurdles. Chenard thanked the medical staff and emergency services personnel who have worked with Justine, the Make-A-Wish Foundation, and anyone who donates to the organization.